As experienced Practice Leads, Gorilla Logic Technology Managers provide leadership and guidance to the Practice Lead team. They also drive our community outreach initiatives including developing curriculum for Gorilla Logic University, organizing Gorilla Logic Tech Talks, and collaborating with university professors on Gorilla Logic’s 6-week immersive internship program. Working closely with Gorilla Logic Area Engineering Managers, our Technology Managers provide career advice and professional development opportunities to our Gorillas – empowering them to grow their skills while contributing to our technology communities. Our Practice Leads eat, sleep and breathe technology – whether it’s UX/UI, Back-End Development, QA, or Mobile and Web applications. Rooted in Agile best practices, they train and mentor our Gorillas while creating opportunities for them to interact with the latest technologies. Rodolfo is a perfectionist by nature – which is exactly what we look for in a QA Practice Lead. He joined Gorilla Logic as a Senior Test Automation Engineer, testing REST API and web services, as well as mobile and web applications. John is a longtime Gorilla (9 years and counting!) with deep experience in numerous software and web applications…. Anytime we pose a challenge to our Area Engineering Managers, their response is always the same – “Bring it!” Organized, unflappable, and good humored, they ensure our clients have the best team of Gorillas on board to tackle their most challenging projects. Our recruiters hire top-tier software developers to bring our clients’ critical web, mobile and enterprise development projects to life. Bonus: they also bring their dogs to work. 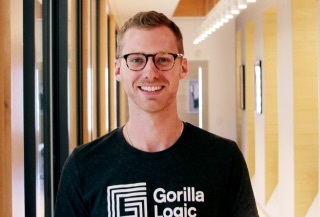 Whether it’s finding amazing BBQ in Rota, Spain, tips for backpacking along the Inca trail to Machu Picchu, or discovering fantastic career opportunities at Gorilla Logic, Mark Schnefke is your guy. Gorilla Logic’s Sales and Client Services teams do more listening than talking – getting to know you, your goals, and what success looks like for your organization. We then provide you with purpose-built teams of Agile Gorillas that scale according to your needs. Our Sales and Client Services teams work with you as a flexible, collaborative partner that supports you at every stage of your journey. Leza is just as passionate about Gorilla Logic’s culture and the opportunities to help her fellow Gorillas excel in their careers…. John creates and manages relationships with Gorilla Logic clients. When speaking about his role, John says, …. Logan supports, analyzes and develops new business opportunities for Gorilla Logic. His competitive nature, paired with business skills….